[caption id="attachment_11044" align="aligncenter" width="848"] Frome's Independent Market[/caption] First published by Resurgence here. Julian Abel and Lindsay Clarke reflect on a successful health and welfare project that has cut hospital admissions by strengthening community. Medical practitioners have long been troubled by a debilitating sequence of events that commonly occurs when patients fall sick. The illness causes fatigue. Fatigue affects mobility, with an accompanying decline in both the energy and motivation to leave the house. The will to do such domestic tasks as cooking and cleaning weakens. So, too, the readiness to drive and go about the business of making a living. Such inertia leads to social isolation and, with it, a diminishing sense of self-worth. In such depleted circumstances one’s sense of identity begins to blur. Soon one may begin to wonder whether there’s any point remaining on this Earth. Loneliness is frequently the cause as well as the effect of such decline, and, as George Monbiot stated in a recent Resurgence article (Rebuilding with a Sense of Belonging, Issue 305), chronic loneliness increases the risk of early death by more than 20%. It’s what can happen when ailing people lack the surrounding presence of a compassionate community. But these days increasing numbers of otherwise healthy people also suffer from a devastating sense of loneliness and a consequent loss of self-esteem; so the plight of sick people is highlighting problems that reach beyond the provision of health care. It has become an urgent murmur at the failing heart of our communities. [caption id="attachment_11045" align="aligncenter" width="712"] Modern life is rubbish[/caption] Recent developments in the Somerset town of Frome, in South West England, suggest that the most effective answer to such a growing crisis lies in the restor­ation of an active sense of compassion within the wider pattern of community life. We are probably never more human than when we are moved by the distress of others, and such compassion is an aspirational quality in which most people hope to share. But true compassion is more than just a feeling – it’s a transformative act of the empathic imagination. The innovative work of the Compassionate Frome project has shown how, by translating impulses of kindness born out of concern for one’s fellow human beings into effectively organised social action, a town can do more than restore a sense of value and purpose in both carers and those in need of care: it can also bring significant practical and financial benefits to the whole community. The Compassionate Frome project began three years ago when the town’s medical practice saw the need to rethink the way it considered the nature of illness. The rethink was prompted by concern for people who presented at surgeries with no clearly defined medical condition yet who evidently needed care and attention, and also by the number of patients who occupied hospital beds only for want of more appropriate means of tending to their welfare. Through the remarkable vision of lead GP Helen Kingston and the imaginative insight of Jenny Hartnoll, leader of the community development service at Health Connections Mendip, a new scheme of community-based welfare was brought into action with the enthusiastic financial and strategic support of the independent Frome Town Council. By interlinking the health centre, the community hospital and social services with care provision available from local charities and other groups, and by then recruiting a growing network of individual volunteers, Compassionate Frome has devised a model that has significantly lowered emergency admissions to hospital, with consequent savings in costs. The scheme also carries considerable implications for ways in which the creative power of compassion might be applied to the enrichment of community life across wider society. A sense of compassionate community has of course existed for a long time. Throughout our evolution, humans have always lived in communities and have helped each other out, even in times of conflict. Though it may not always be apparent, a fund of good-heartedness is still abundantly available among friends and neighbours, but increased social mobility and the consequent fragmentation of society have weakened many of those bonds. So the question arises of how best those bonds might be strengthened and extended. In addressing the issue, the Compassionate Frome project identified four key areas for action: the mapping of all existing community resources and the subsequent compilation of a service directory; the formation of a network of willing volunteers, known as Community Connectors, offering support to those in need and guiding them to appropriate sources of help identified in the service directory; the formation of groups requested by members of the community to meet newly identified needs; and the creation of one-to-one support relationships through liaison with Health Connectors. At the start of the project the Community Development Service within Frome Medical Practice mapped out the wide range of active groups and other resources already available in the town and surrounding area. That list has continued to grow. For a population of 28,000 residents there is now a directory of almost 400 varied groups and organisations offering support, advice, companionship and creative activity. Not all of these might immediately be thought of as sources of welfare provision, but the value of becoming, for example, a member of a choir reaches beyond the pleasure of performance. A choir is a communal enterprise that requires the will to attend rehearsals, and may involve the need to recruit help to do so. Once there, the new member can find a rich source of possible friendships as well as the affirmative sense of harmony that arises from the act of singing together. Other forms of joint creative activity – weaving and writing workshops, for example – offer similarly rewarding social contexts. 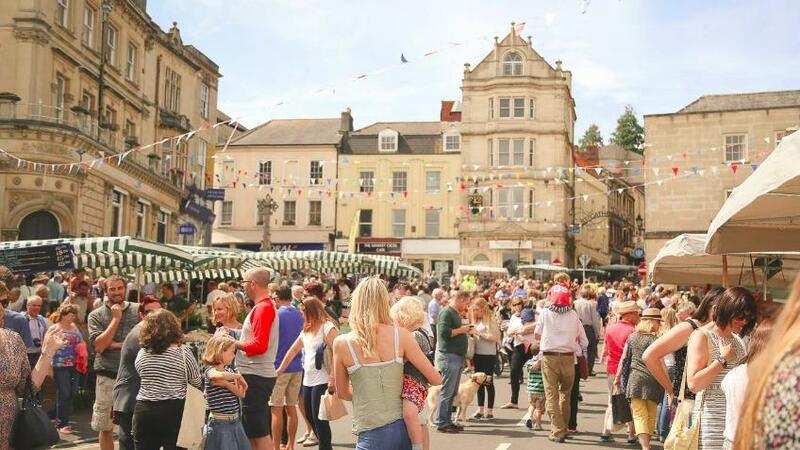 Once the town’s resources were mapped, the list of available support was placed on the Health Connections Mendip website and made accessible both to the general public and to the health professionals working within the practice. With the cooperation of Frome Town Council, this directory opened opportunities for recruiting volunteer Community Connectors who would help friends, family, neighbours and colleagues find support and obtain advice on things such as housing, education and debt. The Community Connectors receive bespoke training on the most appropriate methods to identify, support and guide those in need of help. During 2017, training sessions were also run for patients, carers, schools and colleges, care agencies, housing associations, community police, town council staff and people working in residential and nursing homes. The emphasis throughout was on respect for the dignity of personal privacy, because any sense of interfering in the lives of others, whether family members, neighbours or friends, would go against the grain of that natural human kindness to which we all have access and on which the success of the entire project depends. The overall aim has been to create a loose but caring social infrastructure that gives larger scope to deploy that kindness, and to do so in a manner that affirms the feeling that the community is genuinely concerned for the welfare of its members. In that respect, the needs of people in poor health may be best met by the one-to-one support service offered through Health Connections Mendip. By asking, “What is important to you?” the Health Connector begins the process of helping the patient to set goals and find the best means to achieve them. Thus, a lonely 90-year-old diabetes sufferer living on the fourth floor of a block of flats who wishes to take part in a choral group that meets on the ground floor may need help to get there. By giving that help, a kindly volunteer, identified through the directory, will bring companionship and encourage increased mobility, while the pleasures of socialising with the group will give the patient more reason to attend to their diabetic condition. In this way, rather than conventional care planning, a new horizon-widening, goal-based, patient-centred pattern of care has been put in place. One of the most significant aspects of the Frome project has been its success in helping people make use of existing informal supportive networks. For many reasons, we may fail to reach out to those we know and love in times of hardship. We may not know how to ask for help, or how to accept it when offered. 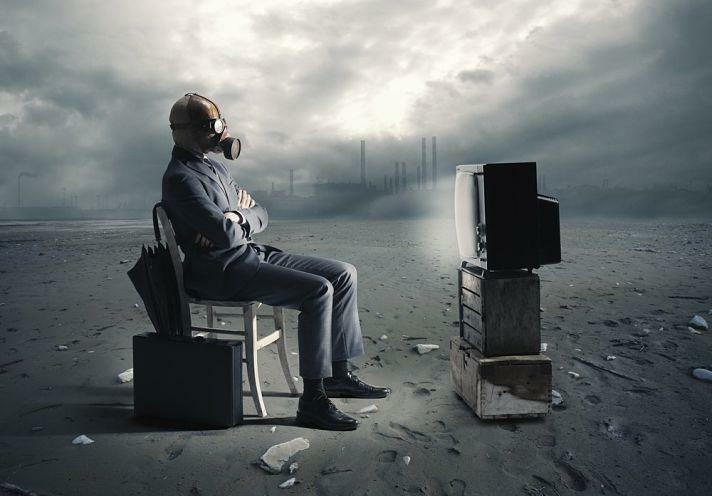 We may feel that we are burdening people who are already preoccupied with busy lives. Perhaps we simply don’t understand the importance of caring networks to community life, or that people can feel good about themselves – heartened and enlarged, rather than burdened – when their offer of help is gratefully received. Because building networks of support is a skill we have largely lost, we may not even know they exist. But they are, and have always been, a vital part of the fabric of our lives. A common misperception is that caring networks are there only to attend to the physical or emotional needs of a person who is unwell, but assistance with the everyday business of life – shopping, cooking, cleaning, walking the dog or mowing the lawn – can be equally important. Simply asking someone how they are feeling, or inviting them to join you for coffee and a chat can immediately improve the quality of their day, and it’s an important aspect of the caring network that such selfless gestures give a lift to the morale of the carer too. But the benefits are not just personal. The combination of the primary care team’s revised view of illness with the introduction of the compassionate community approach has had a remarkable and measurable impact on Frome. While emergency admissions to hospitals across Somerset have increased by 29%, incurring a 21% increase in costs, Frome has seen admissions fall by 17%, with a 21% reduction in costs. This represents 5% of the total health budget. No other interventions on record have reduced emergency admissions across a population. The implications of what has happened in Frome are profound. It suggests that perhaps a third of the people currently in hospital are there not because they need more or better medication, but because they are isolated individuals with poor networks of support. Such diminished circumstances occur because, in a society dominated by the pressures of getting and spending, we have lost touch with an essential ingredient of what it means to be human – that active quality of compassion which motivates us to create nourishing and supportive patterns of community life. More and more people are being admitted to hospital with serious illness, and increasing numbers of them are dying prematurely. So perhaps it’s no surprise that recent gains in longevity now seem, unpredictably, to be slowing down. Yet, in such a critical state, to focus solely on dealing with ill health is not enough. Severe illness often comes at the avoidable end of a lengthy process. People can endure months, even years, of social isolation before they are finally rushed into crowded hospital wards. An urgent need to revive and sustain our community life is demanded by the recognition that warm social interaction has been fundamental to human evolution. It remains so, and deprived of it we suffer enormously. The building of compassionate communities makes sense in many contexts. First and foremost, it’s right because it exercises and demonstrates that essential quality of human kindness which is among our greatest strengths as a species. In a time of increasing social isolation it emphasises the life-enhancing value of human contact, and thereby generates and affirms a vital sense of meaning and purpose. It also significantly reduces the costs of health care and social welfare, while simultaneously creating a cultural environment more conducive to happiness and good health. These are surely compelling reasons for making this approach a fundamental building block of a better future. [caption id="attachment_11046" align="aligncenter" width="799"] A talking cafe in Frome[/caption] Frome’s successful efforts to build a more compassionate community have inspired the conviction that what works well in the context of health and welfare can also be applied to other areas of social enterprise. A Manifesto for Compassionate Communities has been written out of that conviction and is published on the Resurgence website as a source of inspiration and aspiration. Compassion belongs to no one and to everyone. May it spread across the globe for the benefit of all. “I have been surprised at the number of places I have been where I have had conversations with people and have ended up signposting them to services and organisations, chatting to people at bus stops, engaging with individuals at the various groups I attend, on one occasion even talking to a young man in the street. Being a Community Connector has meant I talk more to people of all ages. Not only have I signposted people, but I have gathered more information regarding other groups or services from people to add to our directory.” “My husband and I have found that the Talking Café has given us both the opportunity to make friends. It has also opened up a huge amount of clubs to join, and thus make even more opportunity to widen our friends. We look forward to going out and the Talking Café is an area where we can talk about anything, and laugh. It lifts our spirits. Many older/retired people are isolated, and uninspired, and very sad, as was I. Now I feel happier, and I look forward to meeting others. 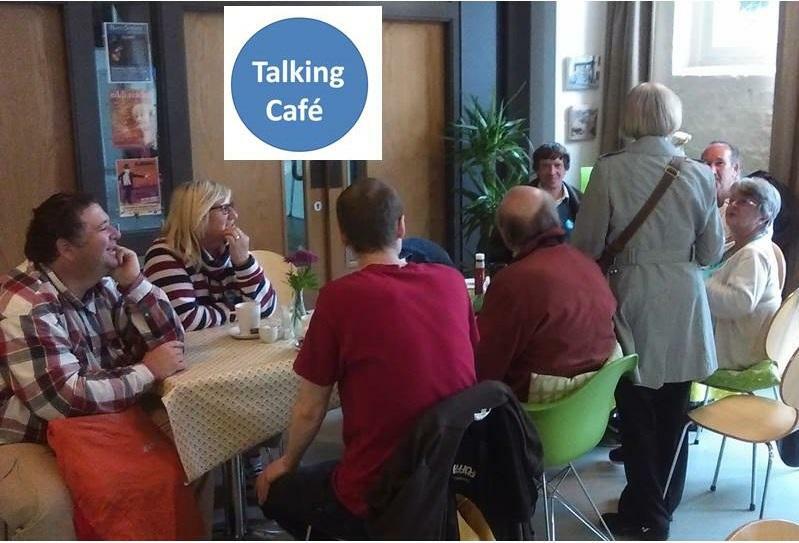 The Talking Café is a brilliant starting point to the wider community, but the Talking Café in itself is a great club to be in.” -Anonymous feedback from a member of one of Frome’s Talking Cafés, informal gatherings organised weekly to provide information on local activities, support groups and services in the community in a friendly setting. See also the article A Manifesto for Compassionate Communities.